Tim Dana joined GAM Holding AG as group head of corporate development in 2015. Prior to joining the Group, he was managing director at Citigroup Global Markets, specialising in mergers and acquisitions for financial institutions, a role he had held since 2011. Between 1998 and 2011, Tim worked for Lazard in New York where he held various senior positions including managing director in financial institutions M&A. 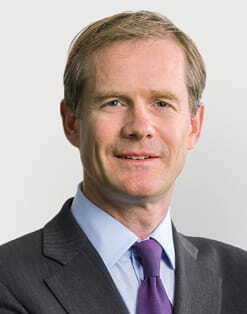 Prior to his roles at Lazard, he worked for Salomon Smith Barney and its predecessors from 1993 to 1998. Tim holds a BA from Princeton University. He was born in 1969 and is a US citizen.